My name is Rabbi Robert O. Miller. I was born in Killeen Texas on September 24, 1957. After I graduated from Killeen High School, attended Southern Bible College and Berean Bible College. I was licensed with the Assemblies of God; Full Gospel Fellowship of Ministers & Churches Intl. I studied at the Chabad (an ultra-orthodox Jewish rabbinical school) in Austin Texas for 2 1/2 years. On October 15th 1996 we formed Agudat Bris in Temple Texas. On January 19th 2000 we became members of the Messianic Israel Alliance. On April 4th 2001 we became members of the Union of Two House Messianic Congregations now named Union of Nazarene Yisrael Congregations. I served as the traveling shepherd for the Union for several years. I have now formed the International Assembly of Nazarene Israelites. Holds fast to My covenant. “Blessed is the man that does these things!” What things? Holds fast to the Covenant. I was born in New Braunfels, Texas. My mother received the best care that she has ever gotten at the Scott and White, in Temple. Most of my relatives are still in Texas, but I live in Arizona now. Is there a fellowship in Temple? 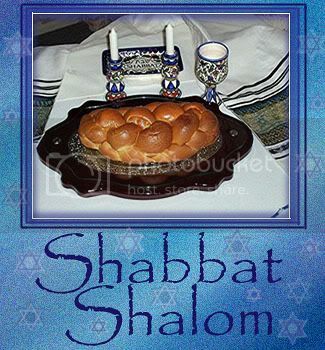 We have just been doing Shabbat at home. Oh yes, we are behind Sonic off S. 57th St. in Temple, Tx. Come join us! You can check us out @ www.agudatbris.com. You may talk to me @ 254-773-0703. We look forward to meeting you and yours. Shalom Aleikhem. John called me Shabbat morn and told me you were going to be there, but we have services here at my home and it was too late to reschedule. We run about 15 here and do Torah study, so I couldn't get over there. We live about 12 miles from their Assembly. Is prayer predominantly a temperary replacement of the Temple offerings? Been reading quite a few rabbinical comments that support this notion. It certainly makes sense with the "fruit of our lips" teaching in Hosea and Hebrews. Glad you made it through the weather. George W. Bush's home state? Interesting with what he's trying to do in Jerusalem.